Remove the foot, the small tough muscle on the outside edge of the scallop. Mix the brine ingredients together and soak the scallops in the brine for about 1 hour. Remove the scallops from the brine and pat dry. Allow the scallops to air dry in the refrigerator for at least 3 hours or overnight. Place a heavy pan on the stove and cover the bottom with hardwood chips, preferably Applewood, which gives the smoked scallops a sweet finish. You can pre-soak a few of the chips or add them to the pan dry. Lightly sprinkle brown sugar on the scallops and position them on a perforated pan. Set the pan on top of the skillet containing the wood chips. Cover with a tight fitting lid and smoke the scallops on low heat for 40-50 minutes. Remove the scallops and let them cool. Combine the dill and crème fraîche with the lemon juice. Put a generous dollop of dill crème fraîche on a plate. Place 2 or 3 scallops on the dill crème fraîche. Garnish with zest of lemon and sliced caper berries. 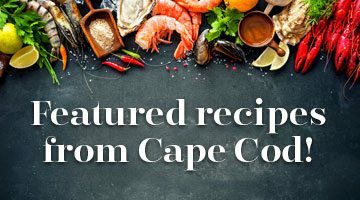 This recipe is from Mac's Seafood with markets in Eastham, Wellfleet and Truro. This recipe also appeared in the 2014 Winter issue of Cape Cod HOME.